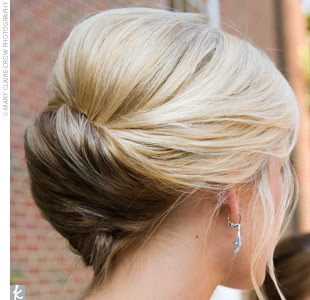 I'm not really into the half up half down thing everyone seems to be liking for wedding styles. Mostly because I have some crazy unruly hair that cannot be controlled if it is left down to control its own mind. Because my hair does have a mind of its own. This will be manageable. I didn't go half-up, half-down. I always thought that pulling the hair back makes you look more elegant and brings out your features more. I like the hairstyle here. Very simple yet elegant.